In this talk Dr. Yaron Seidman will explain the three pillars of a fulfilled life according to the Hunyuan principle: being happy, healthy and enjoying long life. In Hunyuan the three aspects allowing the three pillars to exist are body, heart and unification ability. Dr Seidman will explain each one of them and teach one exercise for each aspect; body, heart as well as common herbs for improved unification. At the end of this talk each participant will be able to start practicing the three pillars of hunyuan. This talk is all about being happy, so come and enjoy the talk and have fun! Dr. Yaron Seidman DAOM, Hunyuan Body, Heart and Medicine founder, is a scholar and practitioner of natural medicine spanning three decades. Seidman graduated with doctorate in Acupuncture and Oriental Medicine, he is a Huai Xuan heart method advocate, Tai Chi and inner cultivation master practitioner, author, teacher and an international lecturer. 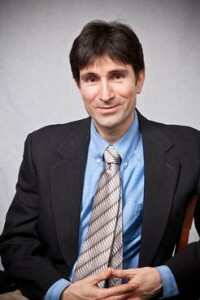 A native of Israel, Seidman began his studies in modern Chinese medicine in 1989 in Israel and then New Zealand. Recognizing the deficiencies in the contemporary TCM biomedical approach, he began exploring the Classics of Chinese Medicine. In 1994 he moved to Freiburg, Germany to study classical Chinese language and literature at Freiburg University, and began making frequent trips to the People's Republic of China to investigate the ancient Classics until completing Doctorate in Acupuncture and Oriental Medicine at Five Branches University in California. Among his mentors are celebrated physicians and Masters such as Liu Bogu, Feng Zhiqiang, Chen Zhonghua, and Liu Lihong. In his decades of medical research Seidman immersed himself in the Fire Spirit and Huai Xuan schools of Western Sichuan, exploring in particular the treatment of infertility and hard to treat diseases using herbs, acupuncture and Xinfa Heart Method.